In Britain, A. displicata is confined to south-east England, restricted to a few sites. However the habitat in which it has been found is much more widespread. It is widespread but generally rare in northern Europe and has not been recorded from Ireland or Denmark. 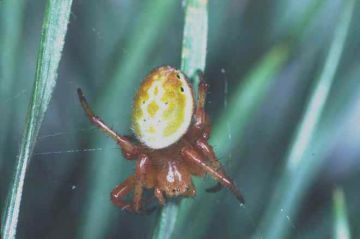 The spider is typically found on pine trees, often in association with heather. Adults have been recorded from March to June. Possibly the loss of scots pines on or near heathland. Ensure pines are retained in association with heathland.